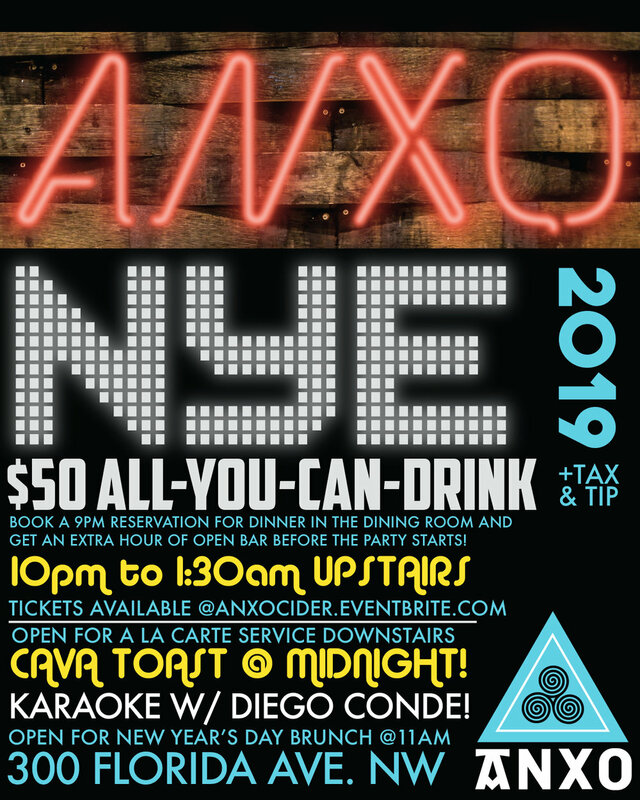 Celebrate New Year's Eve 2019 at the upstairs bar at ANXO with OPEN BAR! All of our extensive beverage menu of cider, cava, wine, beer & vermouth can be yours for just $50 plus tax & tip!!! Book a dinner reservation for 9PM in the dining room and get an extra hour of open bar (contact Basquatch@anxodc.com or call the restaurant at 202-986-3785). You won't find an open bar with this caliber of beverage options anywhere in the city, let-alone for this price! Karaoke with Diego Conde starting at 11PM!